If Donald Trump seeks to impose hefty taxes on cars imported from Mexico, it could bode well for Canada. 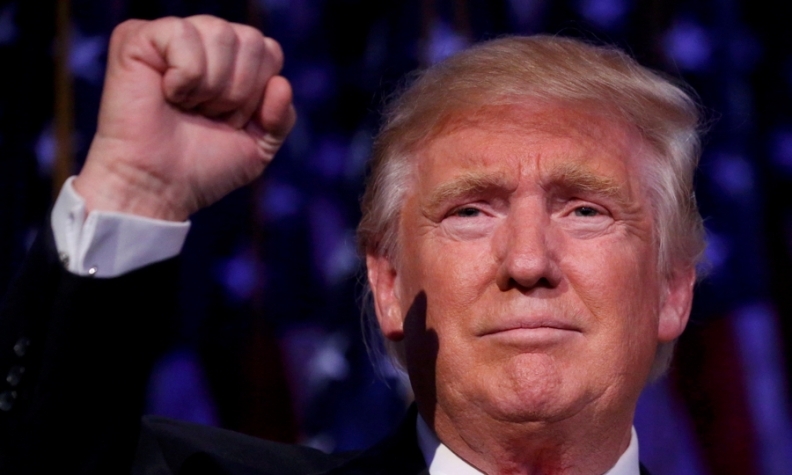 Executives in Canada's auto industry have planned for a Donald Trump presidency, says the head of the Auto Parts Manufacturing Association (APMA). That’s because the Republican candidate who defeated Democrat Hillary Clinton in the Nov. 8 election has vowed to “terminate” the North American Free Trade Agreement (NAFTA). “The trade policies of Hillary Clinton, from NAFTA to China to Korea to the Trans-Pacific Partnership – which by the way is a disaster – have raided your factories, crushed your auto industry and gutted your communities,” Trump said in Grand Rapids, Mich., early on Election Day, Nov. 8. He’s a president-elect determined to bolster America’s auto sector by tearing up trade deals and refusing to sign new ones. As the vote grew closer, the auto industry started planning, Volpe said. “I heard that in Washington, D.C. when we went there [in September] and we met with Congressional leaders and manufacturing leaders. I heard that in Detroit. But one observer says trade relations between Canada and the United States are on solid ground despite Trump’s election bluster. Tony Faria, Co-Director of the Office of Automotive and Vehicle Research at the University of Windsor, Ont., isn’t sure Trump will be able to renegotiate NAFTA, let alone terminate it. The Trans Pacific Partnership is another story altogether. It’s a trade deal — not yet ratified — designed to open the Pacific Rim’s market to North American business. Trump said he wouldn’t approve it. Trump has also promised to tax cars imported from Mexico, a country that continues to see major investment from domestic and foreign automakers. That could bode well for Ontario if its partnerships with states like Michigan remain strong, Volpe said. An estimated 30 per cent of the parts used in Michigan assembly plants alone are Canadian made, Volpe previously told Automotive News Canada. “You can’t take for granted who may or may not advise the president,” Volpe said, “but certainly Michigan’s Congress representatives and Senate representatives will be able to very quickly state how important it is that the border stays fluid and those [Canadian] relationships don’t get disrupted. Volpe said “a deep dive and debate on what NAFTA 2.0 looks like” is probable now that Trump won the presidency.